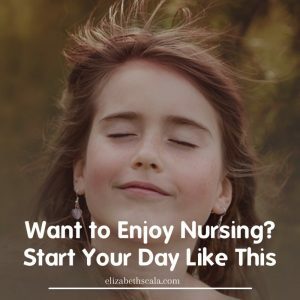 I recently wrote a blog post highlighting just how different the start of a nursing shift can be. In that article, I pointed out how mindset can impact the flow of your work day. Focus on the negatives and you get more of them. Or pay attention to the positives and you will enjoy a smooth, more fulfilling day. While I pointed out just how different a day can be -for the exact same person, at the exact same time- I am not sure I clearly articulated what it is that you can do to make your day a good one. If you read that article and still left thinking, “What does she actually DO to make this happen?” this post is for you. I do believe that we are in charge of our days. And I can speak from experience. In the past, I was a negative nurse. I focused on everything that was wrong. In my mind, the unit was to blame. The management was at fault. I could see what we did not have, what we were not going to get, and all of the ways that the system had failed us. Even if someone was to attempt to point out to me the fact that there WAS something good about the day… I could not see it. How did I change? What was it that helped me make the shift from focusing on the negative to seeing the positive? This next part of this post is exactly what I do on a routine basis to keep myself focused on opportunity. I have read, studied, listened to, and coached with a LOT of self-help experts. I am now sharing here my inside scoop as to what I did to change my focus from negative to positive. Get a good night (or day) sleep. So whenever your sleep is, make sure you get it. If you work night shift, you need to be even more proactive about this step. The point here is- and I learned this from one of my personal trainers at the gym- our body needs to shut down. Power down, like our computers and mobile devices. While it is resting in the downtime, there are certain things that get recharged. 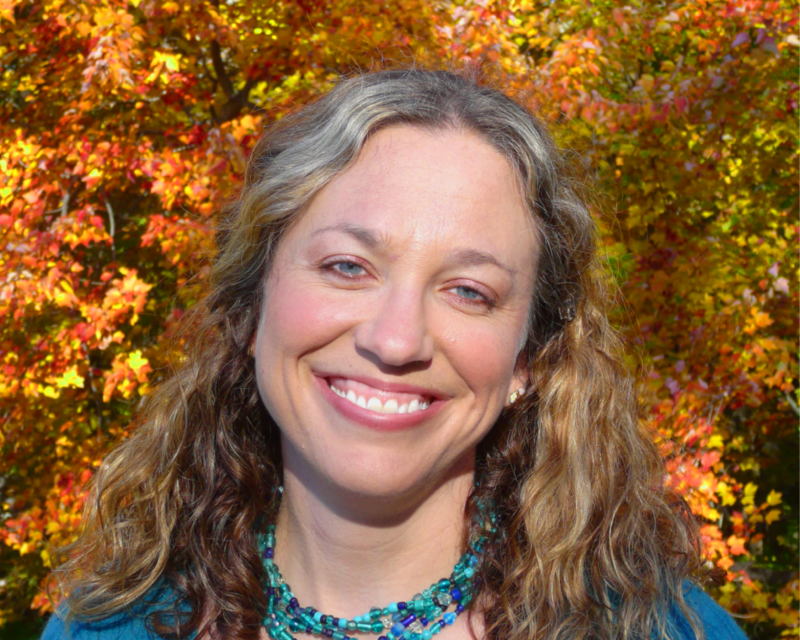 We need to keep our bodies (and here, I am talking mind, body, and spirit) on a schedule. A routine schedule. So, I know that my body needs eight hours of sleep. I strive to go to bed at 10 pm and wake up at 6 pm as often as possible. This helps me get a full night of restful sleep. You have to figure out what works best for you- and stick with it. But regular, quality, full night (day) sleep is key here. Eat food that fuels you. I went through the Institute of Integrative Nutrition coaching program, when I thought I wanted to be a health coach. While that did not work out exactly as I had planned, I did take one lesson (well, many) from that course and continue on with it. I learned in that program that most Americans start their day with sugary foods. This has us crashing mid-morning and reaching for more sugary or caffeine filled foods/drinks to keep us going. Instead of eating sugary cereal with cow milk and orange juice (my old breakfast of twenty-nine years), after going through that program I start my day with a green smoothie, hard-boiled egg, and garden salad. It energizes me and I never have that mid-morning crash. Sit in quiet. This may be hard for some people to do. Heck, it is even hard for me to do and I have been doing it for over four years now. The challenge is people think that when they sit down to meditate or breathe mindfully that they will no longer have any thoughts. Let me tell you- the only time you will not have a thought is when you are dead. You even have thoughts at time when you sleep… they are called dreams. So, the practice is just about sitting in the quiet and noticing these thoughts. Then choosing to let them go and refocus on some attention point. Whether it be the breath, a sound, a mantra. Just something to say, “OK, mind. I see that thought. Thank you for bringing that to my attention. Let that go and refocus on the breath.” That’s all there is to it. Sit quietly and breathe. State your intentions. I think that this step has come to be my favorite one. I do an exercise during my signature talk, Nursing from Within™, which teaches people how to get clear on what they really want. Then from that list of want statements I offer a tip on how to create intentional affirmations. What they do with these intention statements is the most important part. If you create a list of intentional statements and then put them into a drawer, never to be seen again, then you have nothing. If you do what I do, which is stand in front of a mirror looking myself in the eyes, saying them aloud- this is where the magic happens. Over time my unconscious mind starts to get on board with my conscious mind and change occurs. This very practice is what I feel has helped me focus less on what I do not want (the negative) and more on what I do want (the positive). Let’s hear from you all. What do you do to start your day off right? How do you ensure that, no matter what, you are going to have a positive day? Share in the comments below to teach other reader’s a positivity tip. Thanks for reading! We have a lot in common, I am also a Reiki Master/ Teacher and have a supportive husband and French bulldog. Intentional affirmations which I believed saved my life. I need a pancreas transplant only having a 1 to 3% chance of getting one because my antibodies were too high. I wrote an affirmation to get the transplant for Nov 26th. I did indeed get the call that same day while I was doing reiki on my niece 15 years ago. After being an LPN returned back to school hence received my BSN this year. All is WELL! Now my affirmation is to find a nursing job I am passionate and meant to do. Wonderful!!! Very powerful, thank you for sharing this with us. So happy to hear of your intentional success!! Great list! I feel so confirmed since those activities are how I start my day. I would also add another point which is that before getting out of bed I check my mental and emotional states. This has been particularly useful this week. Then I choose my emotional and mental states so when my feet hit the ground I am ready to pursue the reutines that support me. It often needs refreshing during the day, but it is a start. 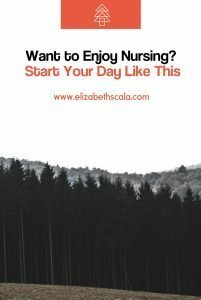 Thanks for your post Elizabeth! Love this- start the day to prepare for the rest of the day. Great ideas of which I’ve tried many modalities. They’re all good, but some just seem to prepare me better on some days that others. I learned how best to ‘treat’ myself based on my mood, specific things going on that day and such, and this is key. Somedays I meditate and others I add yoga. Sometimes my journal is my best friend-usually when I’m upset. Feels good to write it down and get it out of my heart. Other days, a nice long walk in nature is the best medicine. Thanks for a great article Elizabeth! Wonderful point, Carmen. We need to switch it up based on our needs! I totally agree that how we start our day is how our day will go. I agree with your suggestions and it’s similar to what I teach my client’s which is the Power 33LN morning ritual. I have found when I do these things in the morning I set myself up for success, especially setting an intention for the day. My intention is usually I AM blissful productive today. Great suggestions! Awesome to hear, Cassandra! Thanks for sharing your tips with us. Great tips and helped me in the training programme. Wonderful!! Thanks for the feedback. So glad that you enjoyed the post.